Last Jersey I Promise. : Thrifty Finds. Today being New Years Eve and not having made any plans for the day when I woke up this morning I went about making myself comfortable for a very chilled out day- i.e. lying in my pajamas watching YouTube videos whilst slowly working my way through a half eaten Milk Tray (it's a hard life, I know). So when my aunt asked if I wanted to go for a dig through the SPCA charity shop I had second thoughts about leaving the cosy nest on my bed. Needless to say I came home very chuffed that I had decided to go in the end as even though I wasn't really looking for anything I particular I purchased a fair bit. Firstly I got this old brown leather suitcase to store records in. I've been looking for one for a while now as all the suitcases I've seen in thrift stores have invariably been the wrong color or too big or both. I was very excited when I found this as it wasn't even on the shop floor but in a pile of stuff in the back room that I found when looking through their boxes of records. I'm very pleased with it and look forward to filling it up with even more records. Next I got this cute little owl. I picked it up at the last minute just before paying and thought why not? He'll fit right in with everything else on my desk. I also picked up these two glass jars, for my room, which as you can see in the picture have already been decorated and are ready to be used. 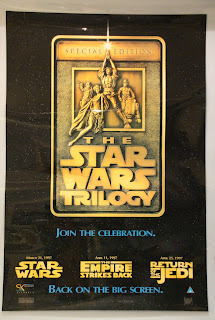 Last but certainly not least I got this old Star Wars movie poster. Now I can't claim to be the world's biggest Star Wars fan as I only got round to watching them this year and whilst I did enjoy it I wouldn't say it made my top ten. I think there's something quite geeky yet cool about this poster and I decided it would make a great addition to my wall. 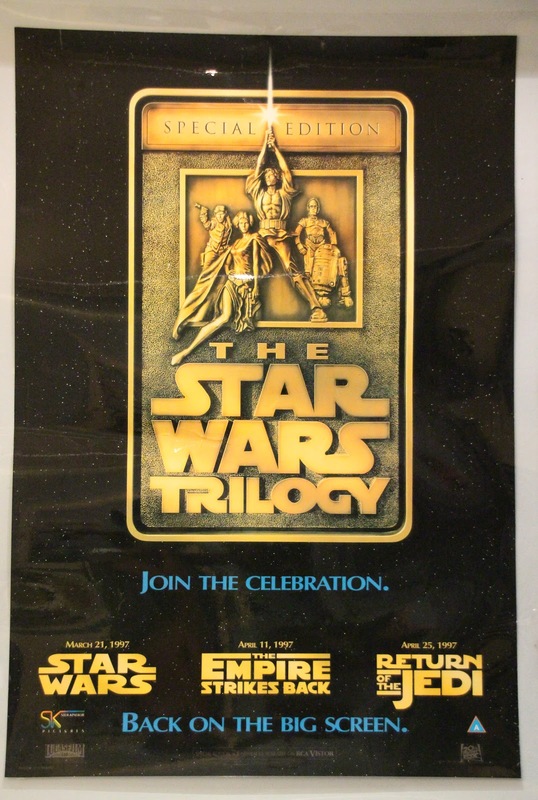 When I first found it there were a tense couple seconds in which I thought that my morning could end like something out of a chick flick- in a battle to see who got to buy it but fortunately it didn't go that way and the poster is now mine, and I think it's pretty darn cool. Anyway, Happy New Year and all that jazz. I was going to write a blog post on some of my goals for next year but due to lack of forethought, planning, time, energy, tea, chocolate, etc, etc I think it shall wait for tomorrow. Adios muchachos.